A bus with seating positions for 13 or more adults, including the driver, must display the maximum number of passengers that may be safely carried on that bus. Bus operators must determine and maintain a record of this number. The maximum number of passengers must be clearly displayed on an authorised notice on or in the bus. specified in a certificate issued by a licensed bus tester. How do I work out the carrying capacity? 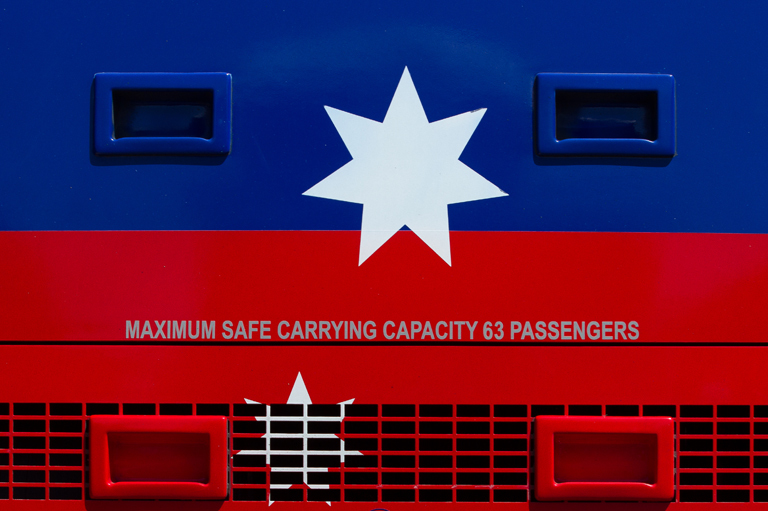 Use the following guidance material to work out the carrying capacity of each bus in your fleet. What information must I display? Notices must be on or in the bus and use letters that are at least 25 millimetres high and of proportionate width. Where must I locate the notice? A minimum of two notices must be displayed on the bus. One must be inside the bus in a location that is clearly visible from the driver's seating position. The other must be in a conspicuous position on the outside of the rear of the bus. When do I not need a notice? the regulator of that State or Territory requires the bus operator to display notices on buses that specify the maximum number of passengers that may be carried.